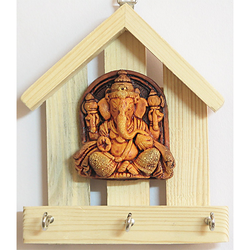 Leading Manufacturer of key stands from Jaipur. With the active support of our team of experts, we are engaged in offering a huge assortment of Key Stands. This meenakari key stands are used for hanging keys and are very colorful and ethnic. There are many attractive motifs and themes embossed. These are available in many colors such as silver and golden color. There are many hooks and projections that facilitate hanging of many key chains at a time. Looking for Key Stands ?